It was not what we expected. We wanted to either confirm or deny the diagnosis. In the end, we did not get anything. 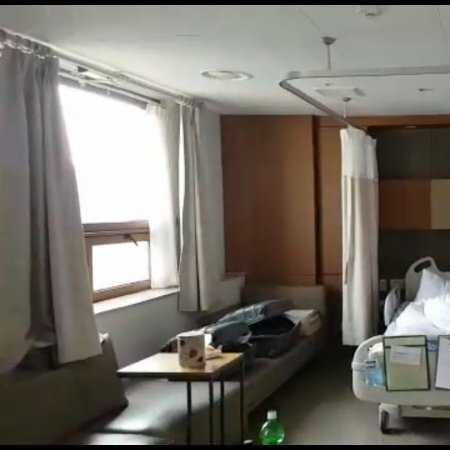 Due to age, while the coordinating physician could have warned that in Korea such diagnoses are made from two years, we could postpone the trip. The clinic did not like the fact that she was not such a nursery. Severance would have been better, but they refused us, apparently because of a small age. Therefore, we went to Kvims, nevertheless, it turned out to be not quite the right direction, that is, pediatrics is not his direction. I liked everything, expected something supernatural for such money, but alas. We in Russia have not bad hospitals, even better than Kvims. No offense. In Novosibirsk, in Irkutsk, we have doctors and travel routes. I did not understand until the end, why people go there and give such loot for examination. Operations? And here in Moscow and St. Petersburg are not doing badly. I do not know, my opinion is purely. And in Korea, the unreasonable price tag for narrow specialists and so on. And I didn’t understand anything in the package, it seems more like a conveyor belt. This is my first impression. Maybe quims just an economy option? Although I traveled with a friend, he was at the top of the clinic and also saw nothing. And so in general, the rules rolled. And according to the test results I was told everything, too, as in Irkutsk I passed. It is certainly not very bad, I thought that I was much more serious. Ugh. Excellent staff with translation services. Prices are reasonable, as is the service system. Reception try to appoint the patient under free time. All at the professional level! 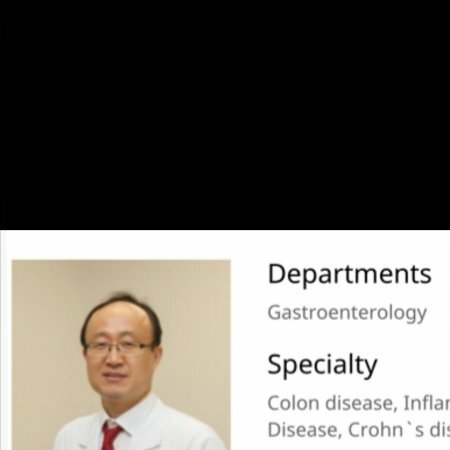 The high level and quality of medicine in the clinic Severence city of Korea. The clinic is huge, everything is beautiful, clean. Our doctor really liked, quickly and easily found a common language with her and came to a single solution to our problem. Thanks to the Bookimed website for the organization and a special thanks to the coordinator who quickly responded! We will go with you and advise others !!! I have not seen such service in Russia! All at the highest level! We were examined by the whole family. All our examination took about 40 minutes! During this time, we examined everything that includes the standard package! After the examination, we were taken to the dining room at the clinic and fed for free! After 3 working days, the results were already ready! The doctor with the help of an interpreter explained everything to us, told us and showed us! Great! But expensive! It was worth it! I never received a doctor, to which I was supposed to get. In general, the service is good, but the problem did not help at all. My husband and I were examined at the Severance Clinic. The survey was clearly, quickly, well organized. Feel comfortable. It was pleasant to communicate with translators. Received an open consultation with the doctor after the survey. I liked everything. We will recommend this clinic to your relatives and friends. Were examined in a Samsung clinic with a diagnosis of vitiligo, which our local doctors set for us. The treatment was not required because the doctors of the Samsung clinic did not find any vitiligo in the child. The clinic provided us with a free translator who accompanied us everywhere. The staff is very polite and attentive. Many thanks to the staff of Bookimed! Special thanks to our honey coordinator Maxim Voloshin who helped us when choosing a clinic and always stayed in touch. Very good clinic !!!! just came from there. I liked it, highly qualified specialists who know their business. I advise everyone! 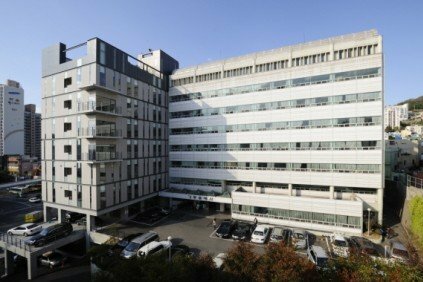 Gachon University Gil Medical Center is a multidisciplinary hospital, providing medical services of the international level and is a leading hospital not only Korea, but also in Asia. 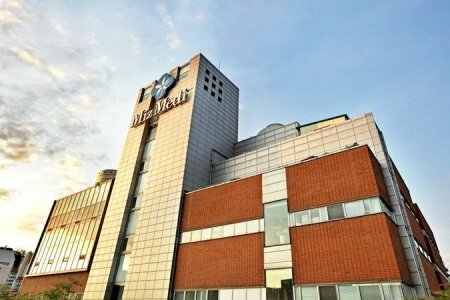 Gil Hospital is located in the heart of Incheon at 1 hour drive from Incheon International Airport. South Korea is one of the leading Asian countries on medicine development. Because of the accelerated tempo of the state development, one of the advanced healthcare systems of the world was established. South Korean government provides the permanent support in medicine and carries out the strict control of the medical services quality. 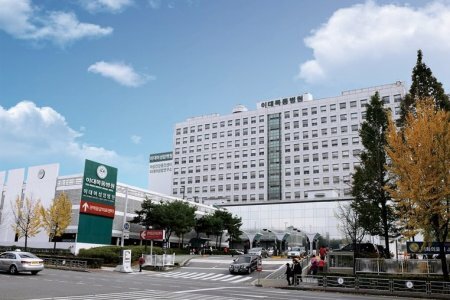 Because of such an approach, Korean hospitals have high-qualified professionals, who use the newest medical equipment for diagnostics and treatment. 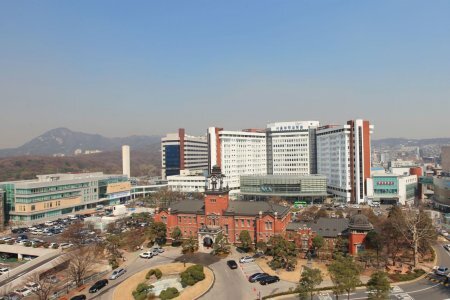 Due to several modern types of diagnostic equipment per capita, South Korean medical institutions are well ahead of such countries as Canada, Finland and France. The quality of all medications, applied while the treatment, is under governmental control as well. One of the best indicators of South Korean medicine is the high life expectancy in the country. 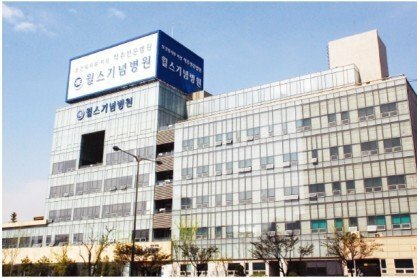 How does the foreign patient get the treatment in South Korean? What are the mainstreams of the treatment in South Korea? The basis of South Korean medicine are the approaches and the principles of the Evidence-Based Medicine, i.e. the concept of application of those diagnostic and treatment methods, which efficiency is proven by research. 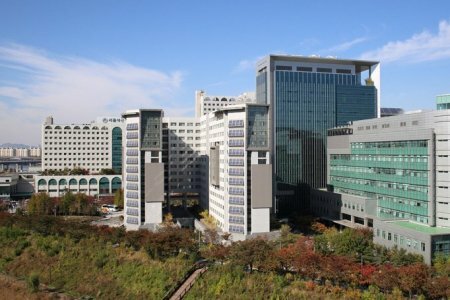 Therefore, South Korean doctors hold the biggest number of the medical research in the world. This allows developing both new, modern treatment approaches, and significant improving of the traditional ones. One of the peculiarities of South Korean medicine is the harmonious synergy of the western and eastern treatment methods. Ancient medical practices typical for the entire eastern medicine are widely used in South Korea, as well as the specific Korean methods. Their application alongside with the modern high-tech methods allow significant widening of the treatment approaches and efficiency improvement. Statistical data of the stomach cancer recovery is about 65%, being 30% higher than in other countries. Infertility treatment efficiency goes over 70%. Having selected the medical center, medical visa is issued to let the foreign patient arrive to South Korea for the treatment. One should make the personal medical e-card just after the arrival, containing all the results of held tests, carried procedures and other information relevant to the treatment. South Korean medicine has reached significant success in treatment of the oncologic diseases and orthopedics, especially in grafting of knee and hip joints. 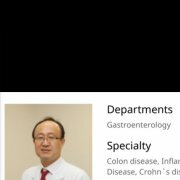 South Korean doctors do not have any competitors all over the world in such surgeries, like implantation of artificial cochlea. The medical visas are issued within one day. The level of prices in South Korea is a little higher than in Israel, but it is significantly lower than in Germany. For instance, lunch at the standard brasserie would cost about 3 USD per person. The accommodation options in South Korea are available according to the personal wishes and financial opportunities. 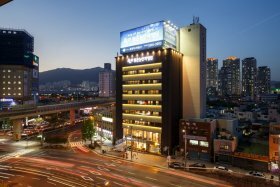 The chains of such famous hotels as Ritz Carlton, Renaissance and Hyatt operate in big South Korean cities. 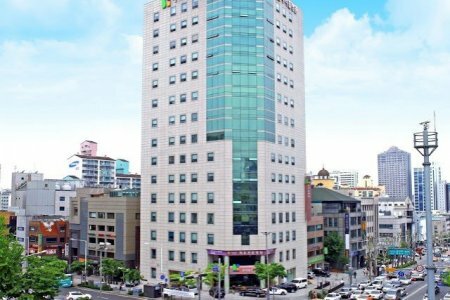 If you are on a budget, the local hotels Yeogwan are available for you with the rooms of 30 USD per night, or the hostels with the price up to 20 USD per night. It is important to emphasize the interpreter availability. The people of South Korea speak Korean and usually do not have a good command of English. There is also a lack of signs and shields with double language inscriptions in the streets and in stores. 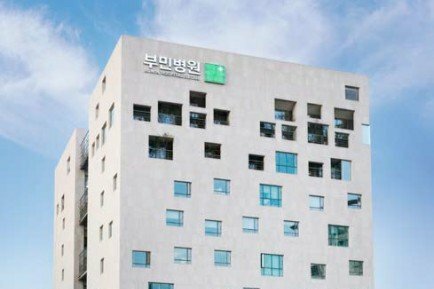 The price level for the medical services at South Korean medical centers is 20-30% lower for the similar ones in USA or Western Europe. The locals have the option of the medical insurance to cover 60-80% of the treatment expenditures. Besides that, State Insurance Corporation controls the cost for treatment of the people of South Korea to keep the prices of the medical centers on a certain level with no increase. Bookimed company offer the same service for its patients. 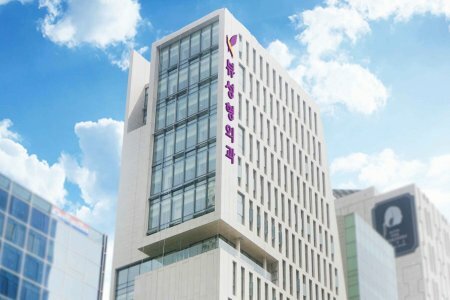 The experts of the company would carry out the revision of the treatment program bill of South Korean medical centers free-of-charge and would approve the justification of costs. 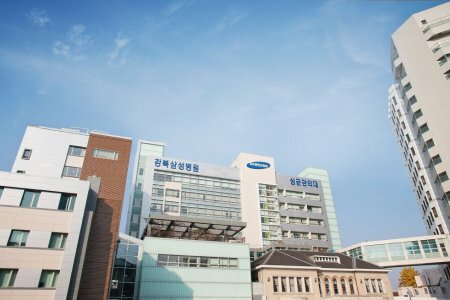 Samsung – one of the best multidisciplinary medical centers in South Korea located in Seoul. It contains 40 departments and 120 centers. 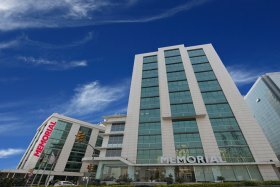 The main directions of the medical center activity is the treatment of oncologic, cardio-vascular and neurologic diseases, as well as the organs transplantation. 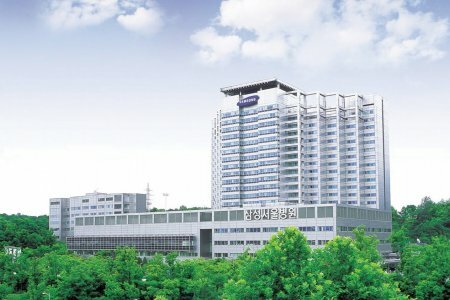 Samsung medical center has the status of Presidential Standards Hospital. 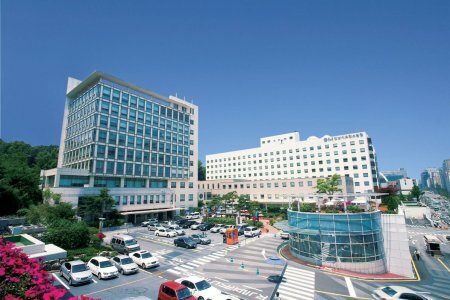 Gil – famous multidisciplinary Korean hospital of Gachon University (Incheon). Founded in 1958 as the medical center special for females. 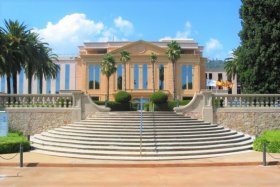 Nowadays aside from Department for Gynecology, the medical center has Department for Cardiology, Neurosurgery, Otolaryngology, Dental Center and Center for Emergency Medical Care. Innovative medical research and development is held at the medical center as well. My father was put a diagnosis of the lung cancer at the latter stage. The urgent surgery was required, while our hospital had a queue for a month in advance. Hence, we decided to treat in South Korea. My parents arrived at Seoul where the Russian-speaking representative met them and transferred to the hospital immediately. All required tests were held in two hours and the surgery was carried out within three days. My father stayed at the hospital for two more weeks. He told the entire staff had been very caring with no language barrier as the interpreters were available through all the time. He has had all the courses of chemo; the condition is satisfactory right now. Korean doctors are real professionals. 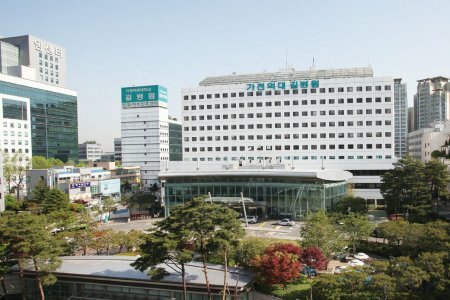 What is the cost of treatment in Republic of Korea? The total cost is estimated individually and can vary according to the severity of illness, complications (if they occur), hospital type, and doctor’s qualification. You’ll get the exact price for treatment in Republic of Korea after medical tests and consultation with a doctor. Consultations at the clinic were excellent. We are very pleased with the clinic and the doctors, as well as the managers who worked with us there. In the clinic, Uridyl did MRI of the spine. Everything is fast and clear, attentive coordinators. I chose to have the surgery because of result that I saw with the advertisement. My experience was pleasant and I’ve seen gradual result. I love my new chin. Some friends did not notice and some said I looked a little different. Personnel, surgeons, nurses are amazing and very professional, they all made me feel very comfortable. 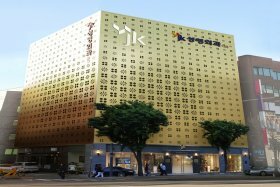 JK is No.1 clinic for international patients looking for cosmetic surgeries in South Korea as of KAHF*. 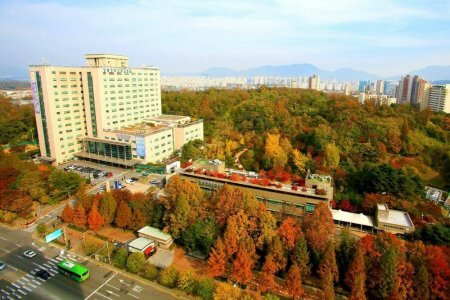 Over 6,000 medical tourists visit JK Plastic Surgery Clinic to get safe facial surgeries, body contouring, and anti-aging therapies with stem cells. The success rate of all procedures performed in the hospital is 100%. It is a premium center with 20-years history and numerous awards. The JK medical team accounts over 85,000 of plastic procedures according to the world quality standards. It is the best option for those who want to get excellent services in comfortable conditions and enjoy new appearance. I am fully satisfy from the beginning when i interd the website of the bookimed i register my name and case after s mentes i hade a phone call from the bookimed center so they hold my case immediately and the doctor called me to describe the disease. And now i am in the medical center to get the treatment. My doctor professor Kyong -jo kim is really the best . 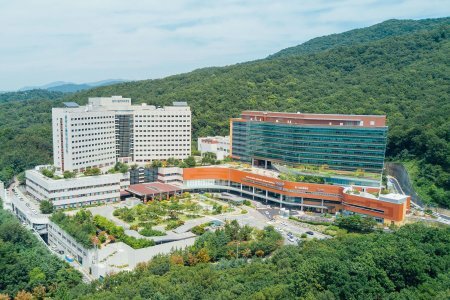 Asan Hospital (Asan Medical Center) is the largest multidisciplinary medical center in South Korea, which can serve 2,700 patients at once. The key specialties in the hospital are organ transplant, oncology, cardiology, and cardiac surgery. 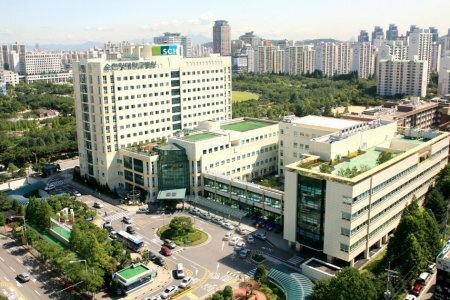 Almost half of all heart transplants in South Korea are carried out (45%) at Asan. The success of organ transplants ranges from 90%. Every day, 11,800 outpatients and 2,550 inpatients are treated in Asan Hospital. Medical tourists from the USA, China, the UAE, Russia, Kazakhstan, and Mongolia choose Asan Hospital. Miz Medi Women's hospital is a multi-specialized women's hospital of international standard in gynecology and obstetrics, children's diseases. CHA Fertility Center is the largest medical facility for infertility treatment in Asia. 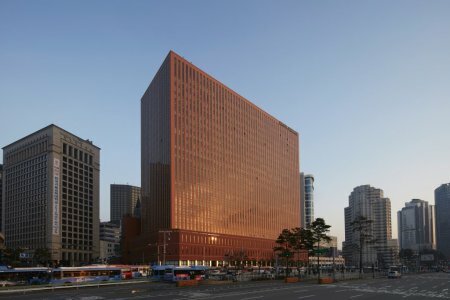 The clinic is located in Seoul, the capital of South Korea. CHA doctors specialize in IVF, preimplantation genetic diagnosis (PGD) to identify the defects in embryos and choose the healthy ones; preimplantation genetic screening (PGS) to study the embryo during IVF and help to have a healthy baby; male infertility treatments. Medical staff provide international patients with VIP services. Personal manager accompanies each patient at all stages of treatment. Over 20,000 couples have children with the help of CHA Fertility Clinic. The clinic meets all the stated criteria of the service. Efficiency in servicing and reliability of diagnoses at the highest level. A very good option for passing the narrow specialists and the entire diagnostics in general. 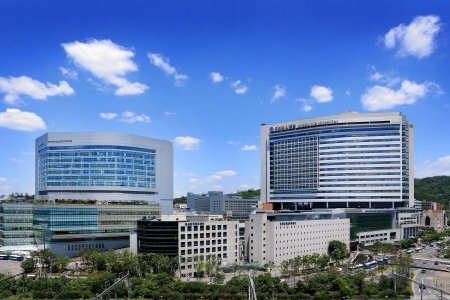 Bumin Hospital Seoul specialized in the joints and spine, founded in 2011 is part of a Group of Bumin Hospitals . The Hospital meets international standards, confidence reached its medical service, accurate diagnosis, latest equipments, environmentally friendly places for recreation and professional medical staff strives to create a healthy world with the best service. Question: My baby is 5 months and has a hemangioma on her chest. ..how can I trace a place of treatment. Answer: Dear Mbibui! If you will send us all medical documents of your baby, our consultants will recomend you clinics and variants of treatment.